Wairakei Tourist Park is riverside and rural, thermal and thoughtful with something for adrenalin junkies, quiet plodders and most things in between. The park boasts the popular and well-known natural features of Craters of the Moon and Huka Falls. New Zealand’s longest river, the Waikato, runs through it. Clustered around many natural attractions are tourism ventures and businesses that can keep visitors busy, amused and pampered for days. 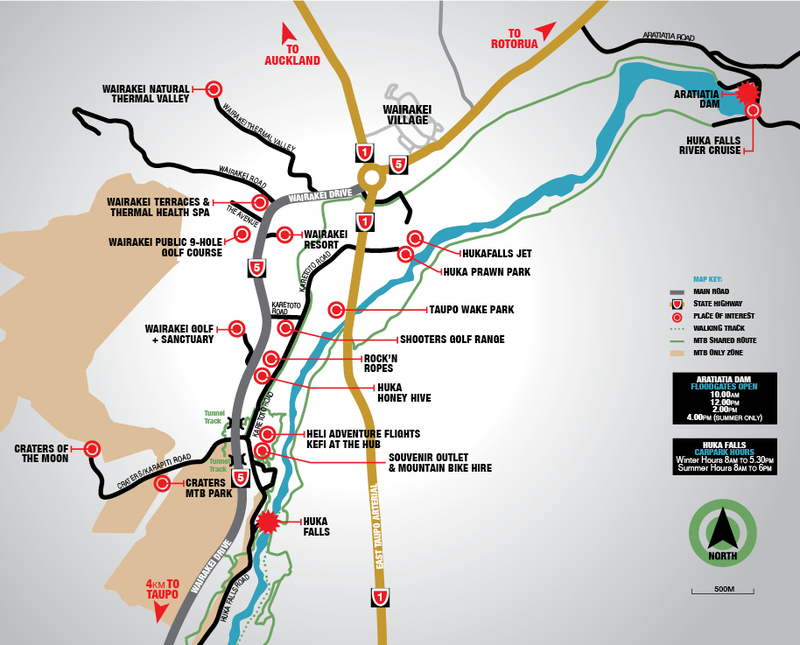 Follow the links below to experience everything Wairakei Tourist Park has to offer.